The day before I took this photograph I had travelled above Casa de Campo on the cable car ride. Being in the cable car gave me a fantastic view of the park and the beautiful snow covered mountains in the distance. I’d seen tree plantations and vast areas of land dedicated to regenerating the park from the air and I decided to take a closer look and take some photographs on foot the following afternoon. I climbed a rather steep path up a hill in order to take this photograph, but I certainly think it was worth the extra effort in the end. The playground hidden amongst the trees and tree plantations in the lower right of the photograph go someway in showing the scale of human intervention for regeneration against the vastness of nature. 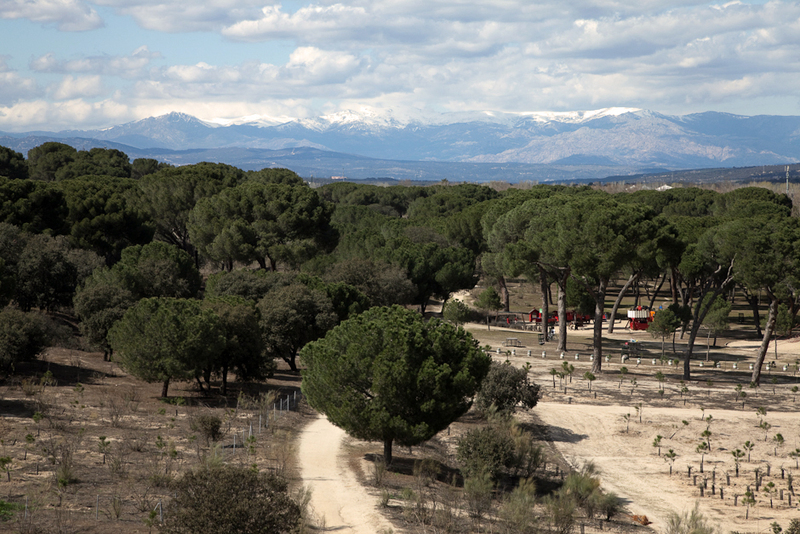 This entry was posted in Travel and tagged Casa de Campo, Landscape, Madrid, Regeneration, Spain.